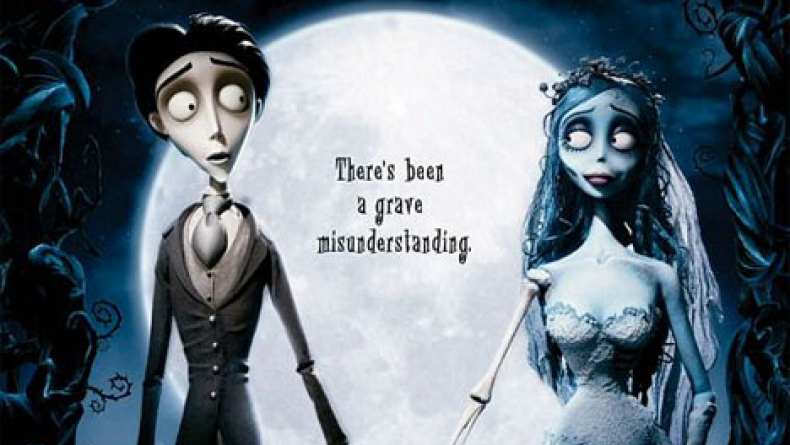 Tim Burton's Corpse Bride carries on in the dark, romantic tradition of Tim Burton's classic films Edward Scissorhands and The Nightmare Before Christmas. Set in a 19th century European village, this stop-motion, animated feature follows the story of Victor (voiced by Johnny Depp), a young man who is whisked away to the underworld and wed to a mysterious Corpse Bride, while his real bride, Victoria, waits bereft in the land of the living. Though life in the Land of the Dead proves to be a lot more colorful than his strict Victorian upbringing, Victor learns that there is nothing in this world, or the next, that can keep him away from his one true love. It's a tale of optimism, romance and a very lively afterlife, told in classic Tim Burton style.